Did you read Cédric Villani’s Birth of a Theorem? Did you have the same reaction as me, that all of the mentions of the technical details were incredibly impressive, doubtless meaningful to those in the know, but ultimately unenlightening? Writing about maths, especially deep technical maths, so that a reader can follow along with it is hard – the Venn diagram of the set of people who can write clearly and the set of people who understand the maths, two relatively small sets, has a yet smaller intersection. 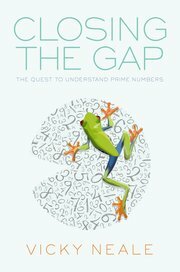 A new post on Gowers’s Weblog gives, with permission, a letter of resignation from the editorial board of Elsevier’s Journal of Number Theory sent by Greg Martin. Gowers promises that the letter makes “interesting reading”, and he’s right. Martin points out that it has been over a year since the Elsevier boycott began (covered on this site in the Open Access Update of 25th of May). The boycott currently claims 13,656 researchers have signed up. Martin says that the boycott caused “a flurry of communication back and forth between Elsevier and our editorial board (and those of other journals, I’m sure)”, but, he says “now the dust has settled, and I must conclude that essentially nothing has changed”. In an interesting letter, Martin reflects on the original Gowers blog post, and on the Elsevier reaction to it, including a proposal to pay a fee to editors for processing articles (Martin says, “we want access to be less expensive; we’re not looking for extra dough in our pockets”). Read the letter: Elsevier journals: has anything changed? It’s shaping up to be a busy month for education reform in England. Here’s some news in brief. The latest Queen’s Birthday Honours list has been released. The list includes, under “Knights Bachelor – Knighthoods”, “Professor William Timothy Gowers, FRS, Royal Society Research Professor, Department of Pure Mathematics and Mathematical Statistics, University of Cambridge” for “services to Mathematics” and, under “Members of the Order of the British Empire (MBE)”, “Mrs Manju Tank, Maths Teacher, Taunton’s College, Southampton” for “services to Education”. 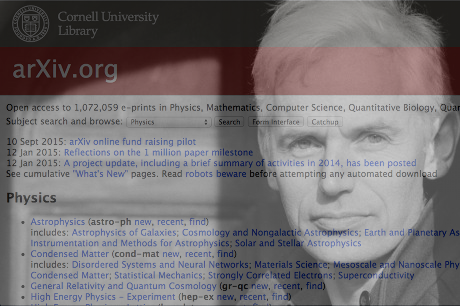 I trust readers will know Fields medallist Tim Gowers, perhaps via his well known blog. The Southern Daily Echo reports that Manju Tank “has dedicated 40 years of her life to helping Hampshire’s ethnic minorities access vital services” and that the MBE recognises “a career spanning four decades which has seen her help hundreds of city youngsters overcome language barriers”. The Queen’s Birthday Honours List 2012. Queen honours unsung heroes across Hampshire in her Diamond Jubilee year.